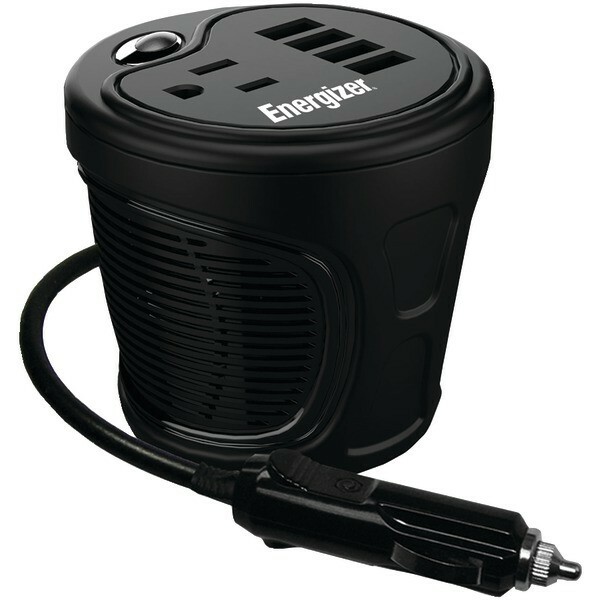 Power all of your mobile products on a trip applying this practical Energizer EN120 12-Volt 120-Watt Cup Inverter. It’s called the earth’s smallest and it is compatible for any vehicle, boat or motorhome. It won’t occupy much space but still provide you with the electricity that you’ll require. This handy Energizer cup inverter may charge as much as five devices at the same time by providing four USB ports and standard United States outlet. You are able to run your products while browsing latest Internet news and climate conditions simultaneously. Receive all of your incoming calls while on the highway or around the lake with this particular product. The helpful compact energy inverter simply connects to a cigarette lighter socket or attaches to some battery. It’s particularly made to fit snugly in a number of cup holders.